Engineers work inside the ECLSS Module at SpaceX headquarters in Hawthorne, California. Extensive evaluations are underway on the life support systems vital to successful flight tests as NASA prepares to return human spaceflight to the United States. One of the most intensely studied systems is called ECLSS. Short for environmental control and life support system and pronounced ‘e-cliss,’ the system is a complex network of machinery, pipes, tanks and sensors that work together to provide astronauts with air and other essentials during missions for NASA’s Commercial Crew Program to and from the International Space Station. Although tests are run by the companies building the spacecraft, NASA engineers certify the results to see that they meet requirements for safe and reliable operation in flight. NASA also offers insight to head off potential problems and helps solve other dilemmas that show up during testing. Both Boeing and SpaceX are building spacecraft, launch systems and operational networks for Commercial Crew Program missions to the International Space Station. SpaceX built a test version of its Crew Dragon solely for evaluation of the life support system. The ECLSS Module, as the prototype spacecraft is known, was built as close to the specifications of operational spacecraft as possible, SpaceX said, so knowledge gained during its manufacture and testing could be passed on smoothly to flight versions of the spacecraft. The complex network also provides air for the spacesuits, maintains cabin pressure and regulates all the conditions inside the spacecraft such as temperature and humidity. It can also provide fire suppression and scrubs the air of the carbon dioxide that astronauts exhale. The system relies heavily on computer software to automatically adjust conditions for the crew throughout a mission. Astronauts will still wear launch-and-entry spacesuits while inside the spacecraft during certain phases of their missions to guard against cabin leaks or other emergencies such as a launch abort. The SpaceX ECLSS module was built to provide a testing area for the environmental control system. 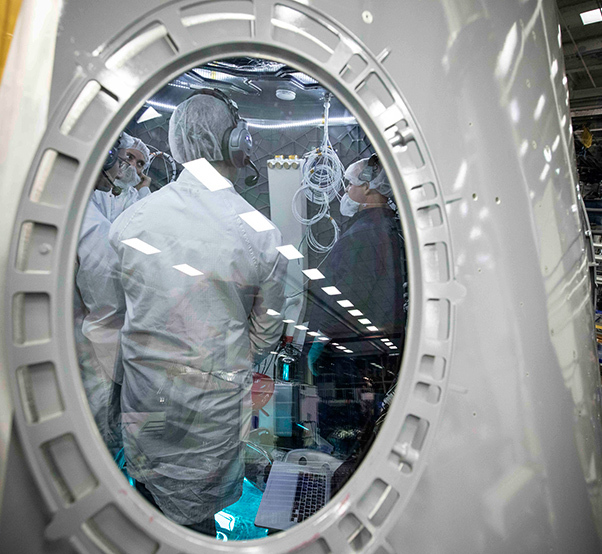 During an earlier phase of development, engineers were sealed inside the ECLSS Module for four hours while the ECLSS provided them a mix of oxygen and nitrogen. The conditions were closely related to those the spacecraft and astronauts will experience in flight. Crew Dragons will carry astronauts to the International Space Station on missions for NASA’s Commercial Crew Program. The spacecraft will fly into orbit atop a Falcon 9 rocket lifting off from Launch Complex 39A at NASA’s Kennedy Space Center in Florida. Separately, Boeing is manufacturing a line of spacecraft called CST-100 Starliners that also will take astronauts to the station for on Commercial Crew missions. 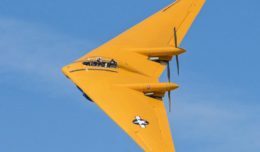 NASA has awarded contracts to both companies for flight tests and operational crew rotation missions to the station. 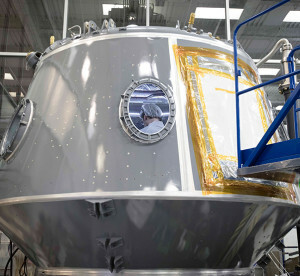 The ECLSS Module of the Crew Dragon includes a transparent floor panel that will not be duplicated on operational spacecraft. While the rest of the spacecraft was built as closely as possible to a flightworthy Crew Dragon, the see-through panel was placed solely for the testing module so engineers could watch the heart of the ECLSS system itself run through its work. The ECLSS systems – along with all the others necessary for a safe spacecraft – will see their ultimate tests in orbit once NASA experts certify the spacecraft, launch vehicle and other systems for flight.